Effective communication and connectedness requires engaged, empathic listening to gain a deep understanding of the other. But how often do you apply this process to listening to yourself? Have you thought about how your own self – your thoughts, beliefs, behaviour – influence how you connect with others, or how they might connect with you? For example, when you feel irritated by someone else, have you thought about why you feel this way and where this feeling comes from? Think about what you bring to a relationship – personal and professional – and how the different parts of you influences the nature of your relationships, the ability to connect and communicate. Foundational skills I’m learning in my uni course are all about communication and relationships and, although they are specific to therapy and counselling, can be applied in many ways to life. One of the first skills learned by psychotherapy and counselling students is the power of the ‘Here-and-Now’. It pulls into focus what is happening in the moment between counsellor and client. The theory is that the interpersonal therapeutic relationship is a reflection of what happens in the client’s relationships that exist outside the room. Using the therapeutic practice of reflection, the therapist and client together begin to see and understand all the parts of the client through their mind’s eye. 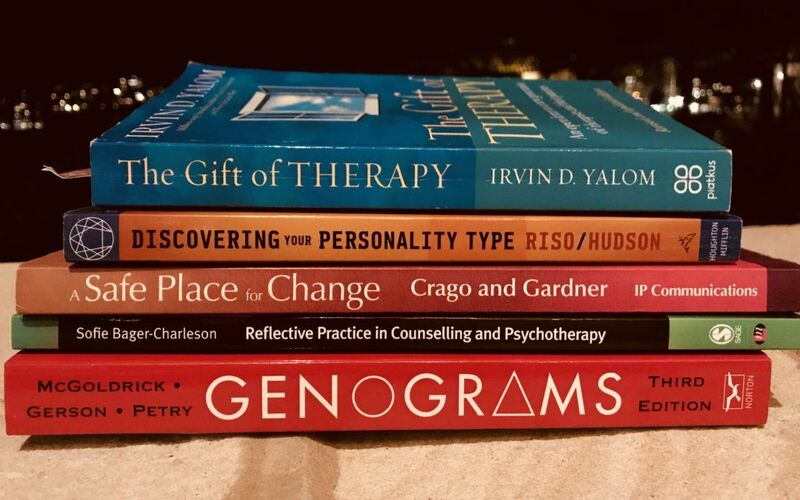 “Perhaps the most powerful yet simple tool in psychotherapy is the here-and-now: sharing the raw, honest thoughts and feelings about what’s happening in the moment. ” – Ryan Howes. The journey of self discovery in therapy is intense. It is all of your emotions plus all the feelings in between, some of which may not even have a name or universal definition. Partly because each person brings their own definition to words, and partly because they are newly experienced feelings that are brought into consciousness. It takes courage, vulnerability, trust and a safe place to go near these new places, let alone explore them. To recognise and acknowledge previously unseen parts of the self takes courage and forgiveness. As a therapist, it is a great privilege to see the world from someone else’s heart and soul. But it takes time, trust, focus, compassion, commitment and vulnerability to venture wholly and without judgement into someone else’s world. To help a client see the different parts of themselves requires strength and tenderness. Working in the present, in the room directly with what is happening, demands that the therapist emotionally connect with the client and not just sit back, hidden by our professional role of “helper” or “expert.” It requires emotional involvement, reflection, vulnerability, transparency, and risk. – Nancy Gunzberg. I am working with a therapist to get to know myself on a deeper level than all the yoga sessions and personal professional development resources can provide. Allowing someone else to feed back my own thoughts and words is both confronting and liberating in the strangest way. It’s a practise of trusting that the therapeutic process will, in time, allow me to see all my blind spots so I have awareness of true whole myself and how I impact those around me. It’s also strengthening my ability to be patient, open and vulnerable to wholeheartedly understanding the truths of others. Absolutely! We’ve been working with the different parts of the self’s whole and, particularly in our experiential groups, we do get to hear how others experience us versus how we think others experience us. Giving insight into how I see myself and hearing others give feedback was intimidating but so valuable. Thank you for your support as I venture into new worlds of self discovery and career pathways!